When I read my Snopes newsletter this week I noticed an article about bedbugs, fact and fiction. I checked it out a couple of other places and this is what I found out: The U.S. is experiencing an explosion in its bedbug population, with all 50 states reporting epidemic levels. The 71 percent increase since 2001 is due mainly to international travel. Bedbugs start in infested hotel rooms, hitch rides on luggage where they spread to homes, back to hotels by the same suitcases, and the cycle continues. 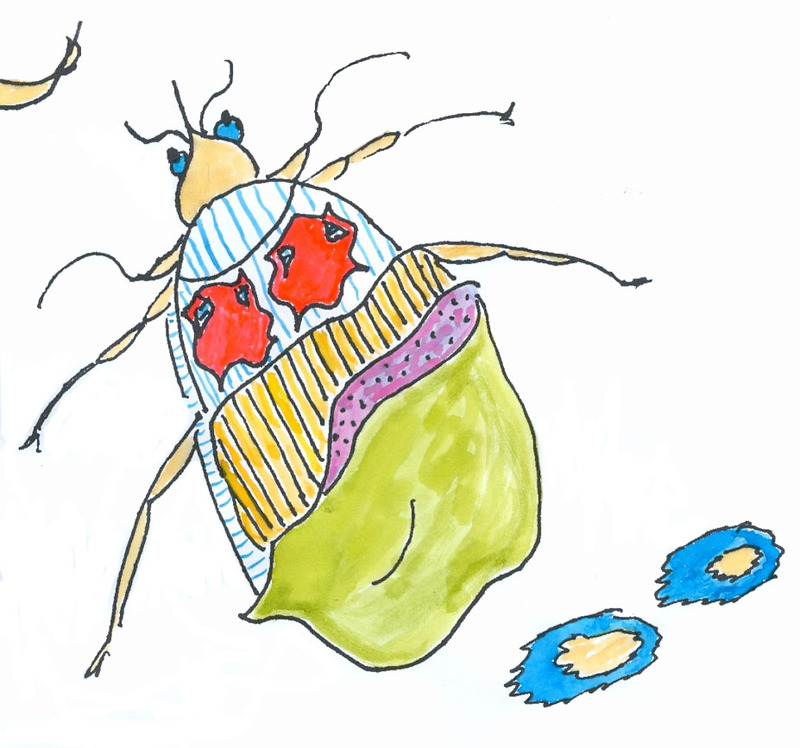 Bedbugs will hop onto backpacks, too. Bedbugs can’t stand being in clothes dryers. The temperature necessary to kill them is disputed – anywhere from a minimum of 113F to 120F degrees. The estimated time needed to kill them varies from 5 to 45 minutes. Most authorities say it take from 20 to 25 minutes. They’re extremely hardy. They can survive more than a year without eating and they can survive freezing temperatures. They like cracks and crevices of mattresses and box springs as well as furniture, baseboards, electrical outlets, or other small spaces or fabric surfaces near humans. The best thing to do is keep them out of your house in the first place by placing your bag on a suitcase stand when you travel instead of the floor or bed because they can’t easily climb metal. Keep the rack away from walls or wooden furniture. If the hotel doesn’t have a metal rack, leave your suitcase in the bathtub. Don’t unpack everything. Consider keeping your bag in a thick plastic bag. The above information should keep the bedbugs away. It’s a good thing, too, because they can bite you 500 times in one night according to the National Geographic, http://www.youtube.com/watch?v=WfKCcSPCOQo. They’re nocturnal, they sense where you are by the carbon dioxide you exhale, thousands of them can infest a single bedroom, they administer an anesthetic so you don’t wake up, and they can drink three times their own weight in a single meal. I decided to tell you about them as a way of finding out about them myself. I don’t like them.